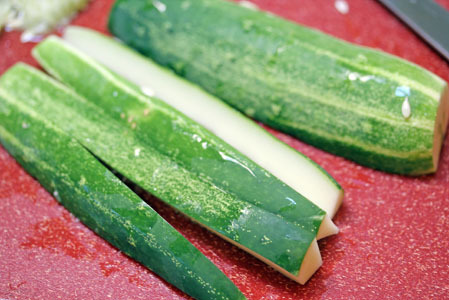 I like cucumbers. I like their crisp. Their crunch. 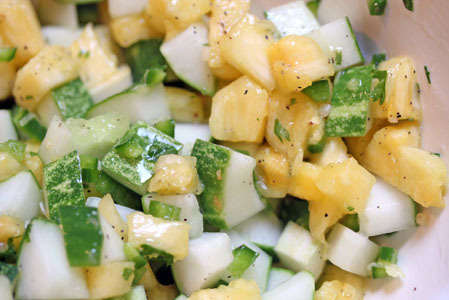 Sometimes I like the seeds…say, for sliced cucumbers on top of a salad. Other times, I don’t like the seeds. For those times when the seeds have got to go, this is what it looks like! Cut off the ends. 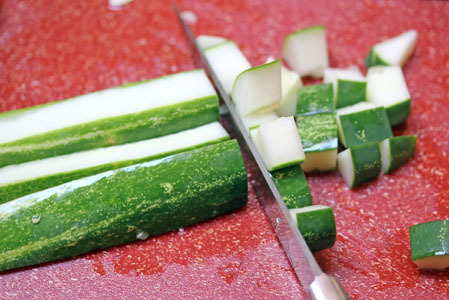 Slice in half lengthwise. 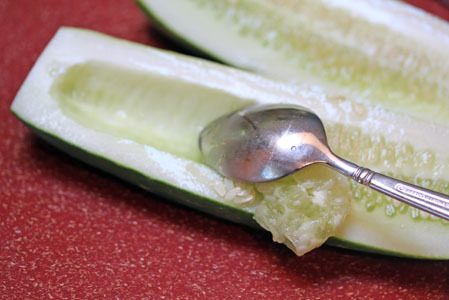 Using a spoon, run it down the middle, scooping out the seeds. 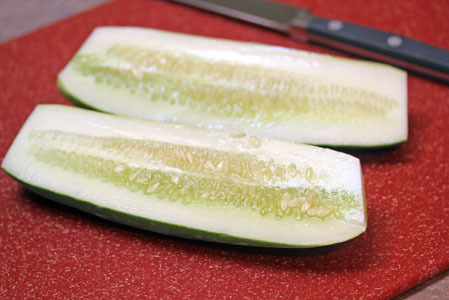 Slice the seeded halves into thin strips.